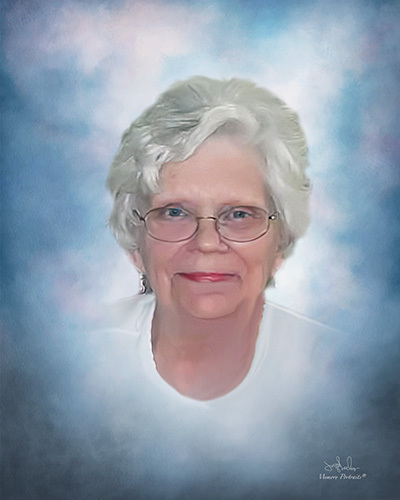 Mrs. Eleanor Watson Wyrick, of McLeansville, died on November 3, 2018. A celebration of her life and faith will be Wednesday, November 7, at 11 AM at Sharpe Road Baptist Church with Pastor John Malek and Dr. Alton Cook officiating. Interment will follow at Lakeview Memorial Park. Eleanor is survived by her husband of 53 years Charles D. Wyrick; her children, Cheryl (Randy), Phillip (Jody), Timothy (Missy), and Todd (Lindsay). She is also survived by 8 grandchildren, 1 great-grandchild and her sister, Susan Watson Dorn. Eleanor had a deep and abiding love for Jesus and His church and served Him faithfully in many different ways throughout her life. She was particularly passionate about supporting mission work and serving as a Church Librarian. In lieu of flowers, memorial contributions may be made to the Sharpe Road Baptist Church Library, 1908 Sharpe Road, Greensboro, NC, 27406. George Brothers Funeral Service is assisting the Wyrick family with funeral arrangements.